Be my blue valentine. Your sweetheart will love this minimal bracelet. It is the perfect gift for her. 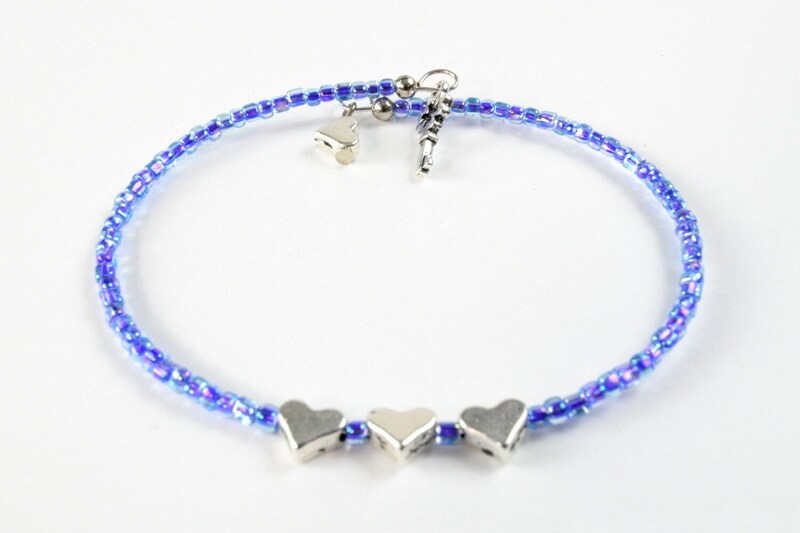 Made with 3 tiny silver hearts, a tiny silver key charm, light blue seed beads, tiny nickel metal beads on an oval silver memory wire.